Update 24/01/2019: The Wild Falls slot is now ready to play over at Rizk mobile casino. Head over there and give this new Play'n GO slot a spin from as little as 0.20 per spin. On the 24th of January 2019 we are getting a new Play'n GO slot game. We hope you like panning for gold as the Wild Falls slot machine promises up to 10,000x your bet wins. Ever wanted to be transported to 1896, to the birth of the Klondike Gold Rush? There are precious minerals that have been discovered in the Yukon River in Canada and you get a shot at watching the river turn to gold. Or else we might just take a star away from the review. Scary stuff hey? What can we say, we’re badasses. Before we make any judgements, let’s take a look at what the Wild Falls slot game will look like and the features within. In short, it looks like a million gold panning slots out there, of which there are more than we can count. However, Play’n GO have very kindly given us a quick fun play on the slot game (so not real money slot bets) and we were surprised by the animations. Mostly because you are spinning 5 reels and 20 paylines over an actual waterfall slowly tumbling down onto the valley below. That little bit of movement helped catch our attention and draw our eyes to the treasure chests sitting nicely above the waterfall. These are the wild symbols, and randomly during any spin, they will rush down the river and fall onto the screen. Sometimes you get one, sometimes you get two, and if you are really lucky you’ll find three. Or it will crash onto the rocks in the pool below and you won’t get anything. Basically, it’s a little bit of animated drama to giving you random wilds just like any other phone or tablet slot out there. But it’s surprisingly good fun to watch. Wilds also act as the scatter triggering free spins with falling wilds. The free spins will continue for as long as there are wild symbols on the screen. Gold Rush feature can add a 2x, 3x or 5x multiplier to the wilds. These multiply each other, up to 125x multiplier on your win. The Super River Of Gold is the free spins, only this time all the chests are golden and have a guaranteed hidden multiplier. That’s 4 bonus games and lots of falling wilds. So does it save it from being an unimaginative slot? We think so. If there’s one thing Play’n GO are good at doing is turning very simple boring concepts on their heads, mixing features and theme so it fits together perfectly. Think a boring old summer BBQ, but in the Sizzling Spins slot, the parcel of food turn wild when they are ready to eat. Or how the ghost of the wives of King Henry the 8th brings you riches in what could have been very standard Battle Royal slot free spins. 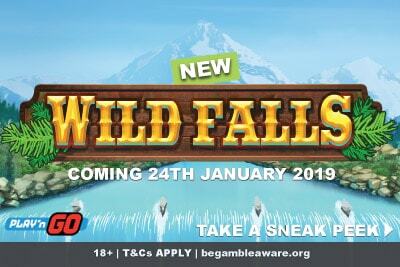 Is the Wild Falls slot any good? We know we said we played it, but it was for a quick 15 minutes. Probably enough to write a quick look review, but not the in-depth slot reviews we write at LuckyMobileSlots.com. You can get those from any other slot review slot site, but we like to play, for a couple of hours, and give you our honest opinion. So that won’t happen until the 24th of January, or maybe a little earlier if we get lucky. 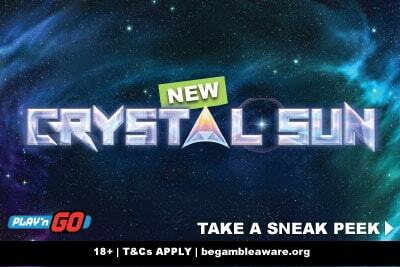 That said, if you want our quick one sentence review, we are going to say that this Wild Falls mobile slot has enough interesting features and big wins that it will be worth a spin or four or ten. Look, short of playing on progressive jackpot slot machines, getting wins that high are few and far between. We are impressed if a slot machine’s top win is somewhere between the range of 2,000 to 5,000 times your bet. That said, casino slots with wins over 10,000 times your bet aren’t that rare either that we could name three off the top of our head (Royal Masquerade by Play’n GO, Thundercats by Blueprint Gaming, Laser Fruit by Red Tiger). There are more, but not that many more. Unlike jackpot slots, which are paid out by the casino game software (ie. 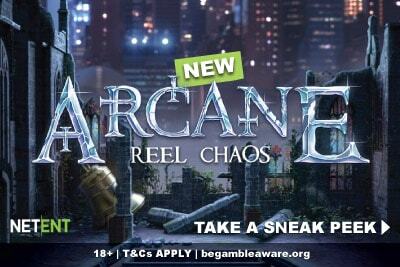 Microgaming, NetEnt etc…), these in-game wins are paid out by the casino (ie. Guts, Vera and John, Leo Vegas, etc…). Casinos like to keep the number of games that can make them go broke as the exception to the rule. Of course, the reason why the online casino can afford to run slots like these on their websites is because they don’t pay out that big very often. But you don’t need to win 10,000 times your bet to walk away happy. Your telling us you wouldn’t want to walk away with 2,000 in your pocket after betting just 0.50 a spin and catching 3 wilds with 5x multipliers? That’s “only” 4,000 times your bet, and well within the realms of possibility in this Wild Falls game. 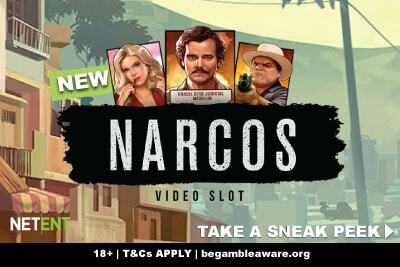 Bet you’ve stopped caring that this just has another Gold Rush slot theme right? We know we did. And very quickly at that. If you want to find all the big wins Play’n GO slots or even Bonanza by BTG which is another golden game, we can recommend one great casino.